Ahh, I didn't understand what you said, yeah, the transducer just isn't responding fast enough, need a better quality transducer. The steps are what instrumentation techs call the resolution which is the minimum change ( increase or decrease) in the pressure being measured. These cheap sensors have 8 bit digital electronics in their internal processing, this dosen't really matter much if a a sensor is chosen with maximum pressure in the right ball park for what you want to measure. I wouldn't say it doesn't matter - what you need to pay attention to is the Nyquist sampling rate - basically to accurate render the signal, in this case pressure changes, you need a transducer that can respond twice as fast as the signal changes. In dry air at 20*C air pressure changes propagate at the speed of sound, 343.2 m / s , which works out to 3.4 centimeters per millisecond. Or 1.34 inches per millisecond. So for in cylinder pressure readings I'd look for a transducer with at least a one millisecond response time, or really maybe even a little faster than that. Practically speaking, the one I use is rated one millisecond and it seems to produce good waveforms. When paired with 1 khz lpf I get nicely detailed clean waveforms. 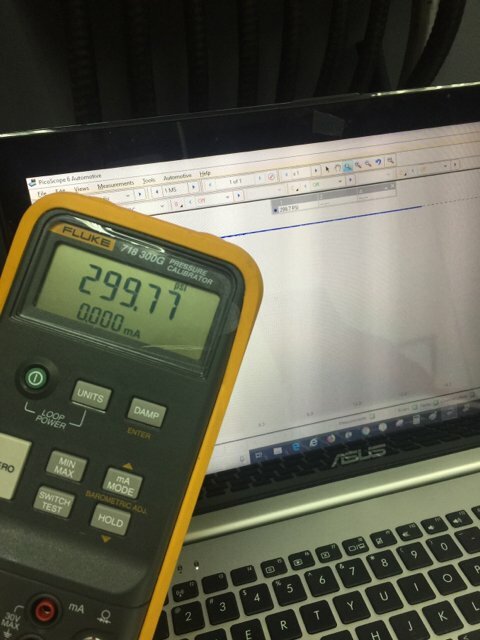 SailorBob wrote: I wouldn't say it doesn't matter - what you need to pay attention to is the Nyquist sampling rate - basically to accurate render the signal, in this case pressure changes, you need a transducer that can respond twice as fast as the signal changes. In dry air at 20*C air pressure changes propagate at the speed of sound, 343.2 m / s , which works out to 3.4 centimeters per millisecond. Or 1.34 inches per millisecond. So for in cylinder pressure readings I'd look for a transducer with at least a one millisecond response time, or really maybe even a little faster than that. Practically speaking, the one I use is rated one millisecond and it seems to produce good waveforms. When paired with 1 khz lpf I get nicely detailed clean waveforms. Nothing to do with the sampling rate, in fact the steps are only really noticeable when the change is pressure is slow . 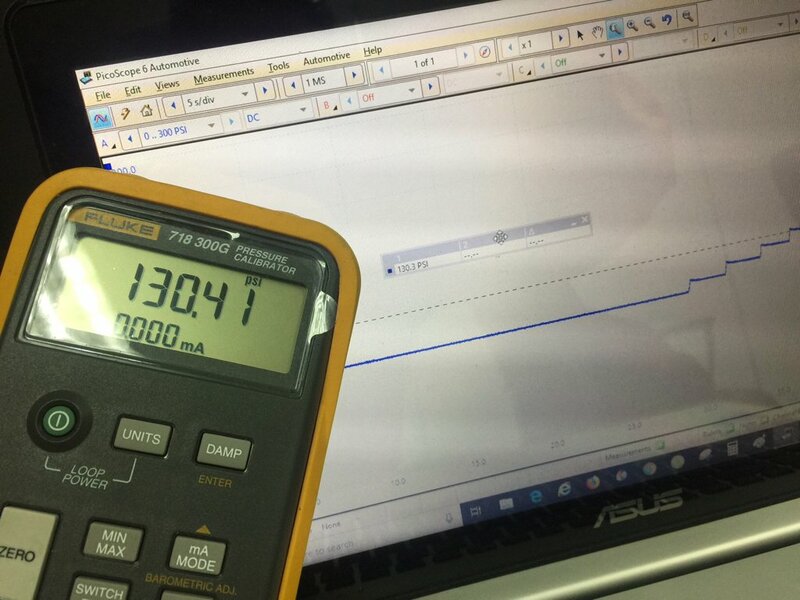 Take for a example a sensor rated at 250 psi ---- a sensor with 8 bit internal processing will only have 255 possible analogue output voltages so it will work in steps of approximately 1 psi. On a 250 psi sensor a resolution of 1 psi steps is better than 0.5% of full scale is more than is required in any real world application. But by matching the sensors max full scale range to what is being measure the size of the step change in output voltage is reduced choosing 100 psi sensor for running compression tests will improve the step resolution to 0.4 psi, but won't read high enough pressure for cranking compression tests which normally require around 200psi on older gasoline engines and can be 10 to 20% higher on GDI units. It is of course fairly easy to smooth out the step changes with either an RC filter on wiring between the sensor and scope or on a scope with inbuilt software filters using a low pass filter but detail will be lost. Last edit: 09 Oct 2018 06:47 by Andy.MacFadyen. I believe i may be a victim of a crappy transducer. I bought 3 from amazon, tried the 0-300psi for a cylinder waveform and it came out like this. Are any of my settings wrong that can cause this or should I just buy the transducer from the ebay link provided on page 1. Thanks in advance. 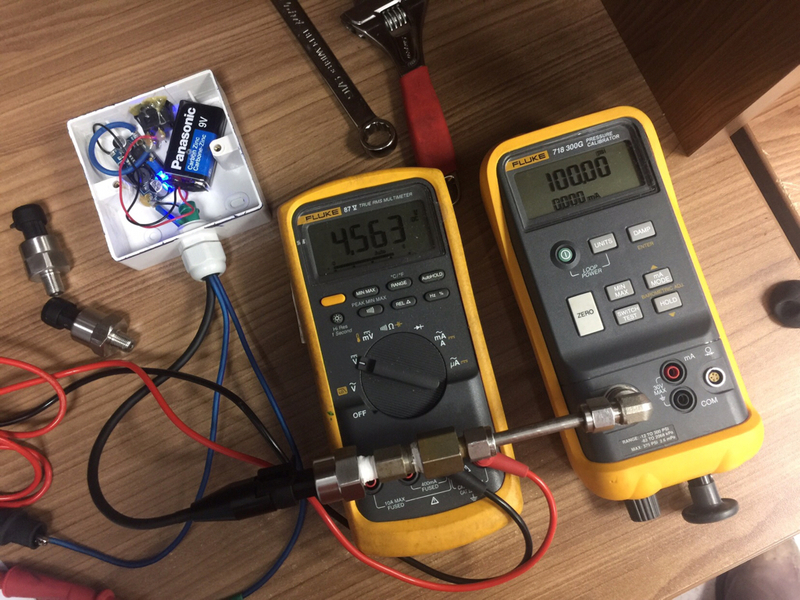 Have you checked the output voltage against shop air -- wondering if you have been given a 3000psi sensor ? A lot of Chinese suppliers aren't too careful about what they send out. I calibrated it with a fluke pressure tester. Accuracy is good I believe the transducer output signal is maybe too slow as previously discussed. Your waveform had the same issues as mine. Just an update with this PT dilemma. I bought the transducer posted on page 1 from ebay. It was worst than my original, it couldn't read anything under -3 psi so basically there was a flat line at the bottom of the waveform. The problem with the pic I posted before was, I didn't set the look up table to read vacuum pressures. I messaged a youtuber about the transducer he used and he said most new transducers having this same issue. You would have had a better chance of a quality one a few years ago. So I tried a 0-100psi on running compression to compare to the 0-300 and it was similar. After some filtering with the 0-300psi I got this. I will settle with this for now since the waveform is still readable. 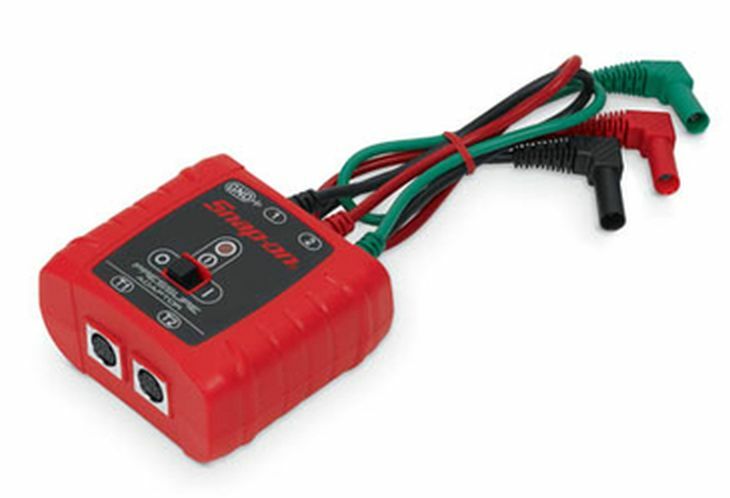 why does the snap on model not have the have the 9volt power and step down converter? and could we use one of these to use multiple tranducers at one time:? and does anyone know what is inside this unit? Last edit: 28 Mar 2019 09:28 by tloftis.